2 Bedroom Upper Floor Flat For Sale in Letchworth Garden City for £235,000. A stunning two bedroom first floor apartment located on Lindsell Avenue in Letchworth Garden City. 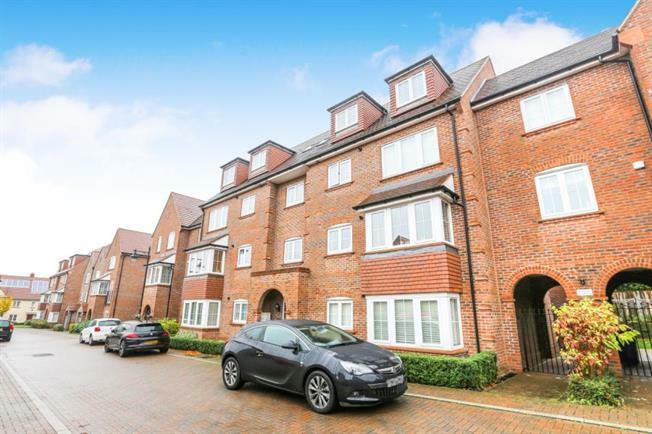 Built in 2011 this modern apartment offers spacious living accommodation in close proximity to Letchworth town centre and train station. The property comprises, entrance hallway, lounge with large bay window, open plan modern kitchen, master bedroom with en-suite, 2nd bedroom, family bathroom and beautiful communal grounds to the rear. The property further benefits from double glazed windows, gas central heating and allocated parking. A viewing is highly recommended to appreciate the size and location of this property.